This season marks the 23rd year of Jr Vikes basketball. One of the earliest goals for our programs was to give kids from the WLA Federation an opportunity to meet each other before the first day High School. 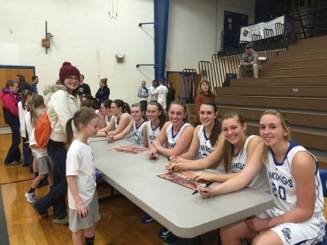 Playing basketball is a team sport and kids need to learn to work with other players. To have true success, one needs to learn to care about their teammates - bonds that can create lifetime friendships. 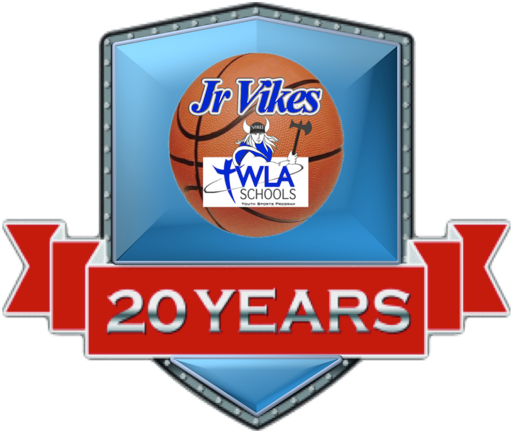 Jr Vikes is celebrating its 20th year of providing basketball to our youth. What started off as a way to join our youth together before attending Winnebago Lutheran Academy has turned into a very successful youth program. We are grateful to God for all the wonderful blessing that he has provided because of this program. Fun at Jr Vikes Night at WLA. 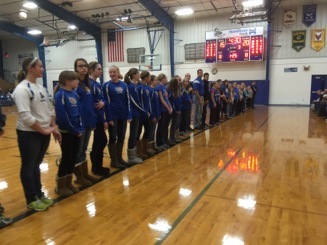 Players and Coaches getting recognized for all their hard work. 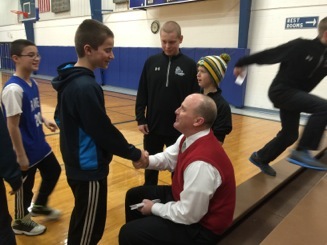 Pastor Boggs meeting with some of the player to receive their coupon for the concession stand at Jr Vikes Night at WLA. Team formation dates are set. This year we are trying a one date for each program to make communication easier. This years 2015 Family Huddle Night , will join parents and players of Jr Vikes Girls and Boys. The event will be held in the WLA Chapel starting at 6:30 pm. 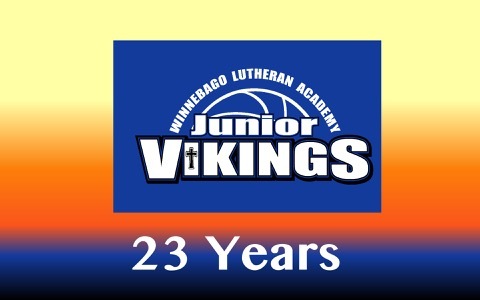 WLA Jr Vikes Basketball Players will be recognized this year at a fun night of Varsity Basketball at Winnebago Lutheran Academy. The dates are set come join the fun. The Jr Vikes Girls and Boys programs are now under one roof. John Calkins will be the program direct. Several new positions are being created to support the program including a new Director of Coaching. Shawn Herkstroeter has accepted this position and will be helping coaches be even more effective. The new program will really focus on developing young players and giving all who want to play an opportunity. 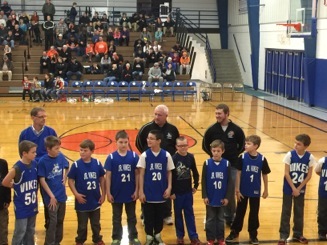 We are proud to announce our 1st annual Jr Vikes Night at the WLA Boys Varsity game on February 17th at half time. Proudly wear your Jr Vikes jersey and your family gets in free. We have more exciting news check out this page to learn more.